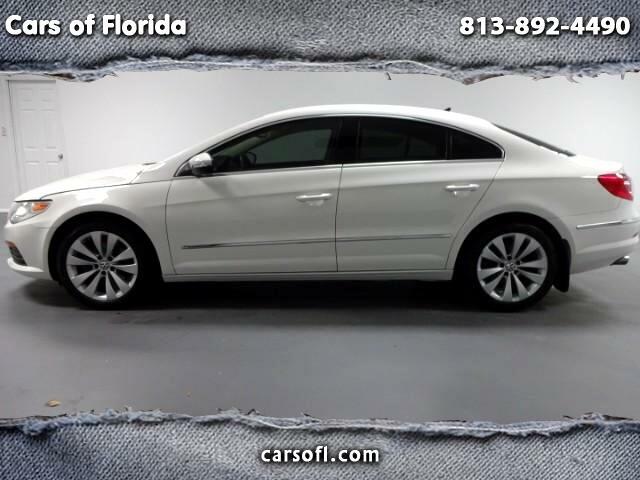 Cars of Florida is proud to announce this beautiful 2011 Volkswagen CC with 86k miles. This Vehicle has a beautiful two tone creme and black interior leather combo. Absolutely gorgeous inside out. This vehicle has a true German Autobahn driving experience attached to it. Very sleek sport design exterior and interior with a sport grip steering wheel for precision. This CC is fully loaded with tons of upgrades! Come see us on both sides of the bay! WE GOT YOU COVERED! EASY FINANCING GOOD CREDIT BAD CREDIT NO CREDIT NO PROBLEM! WE ARE THE IN HOUSE FINANCE DOCTORS! 1136 E. Fletcher Avenue Tampa, FL 33612 or at our other owned location R&R Motorsports Collection LARGO's HIGHEST RANKED INDEPENDENT DEALER 2 YEARS IN A ROW! 2101 Starkey Rd. Largo, FL 33771!